The Snack Bowl with Metal Stand and Handle by Nilkamal adds an stylish and trendy touch to your house. The number of uses that these attractive set of bowls have are countless. 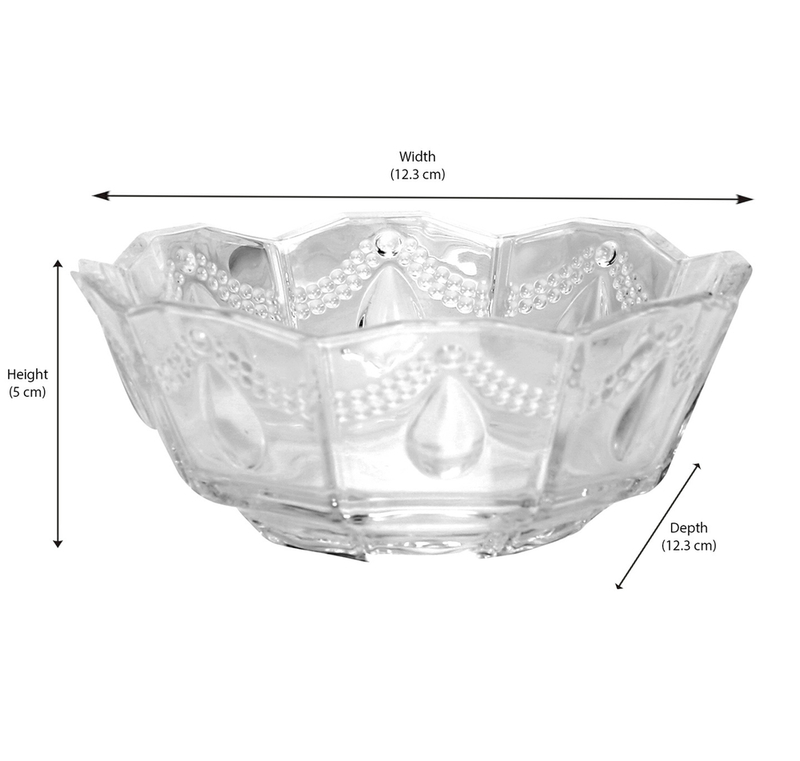 The pure and clear glass of the snack bowls give off a sophisticated and classic look. These kinds of fine dinner ware have always been in fashion, constantly hit the market and cause an uproar. This Snack Bowl With Metal Stand and Handle brought to you by @home is an ideal alternative for a tray. The Snack bowls are made of glass and the Snack Bowl Holder is made out of metal. The dimensions of this bowl set and holder are 36 centimetres in width, 17 centimetres in height and 18 centimetres in depth. This stand makes this decorative bowl perfect for being used at parties and various other house gatherings. This bowl set has a creative design that will instantly blend into your existing decor and further enhance the appearance of your dining table. This bowl and stand will come in handy when you are hosting a large number of people. The Bowl Set and Metal Stand will add to the aesthetic value of your home. Buy your Bowl Set And Metal Stand only at @home.